Born in 1843, he served in the Civil War as First Lieutenant and Adjutant, 8th New York Volunteer Cavalry. He died in 1921 and is buried in Section 1 of Arlington National Cemetery. His wife, Flora A. Lewis (1851-1926) is buried with him, as is his son, Louis H. Lewis. 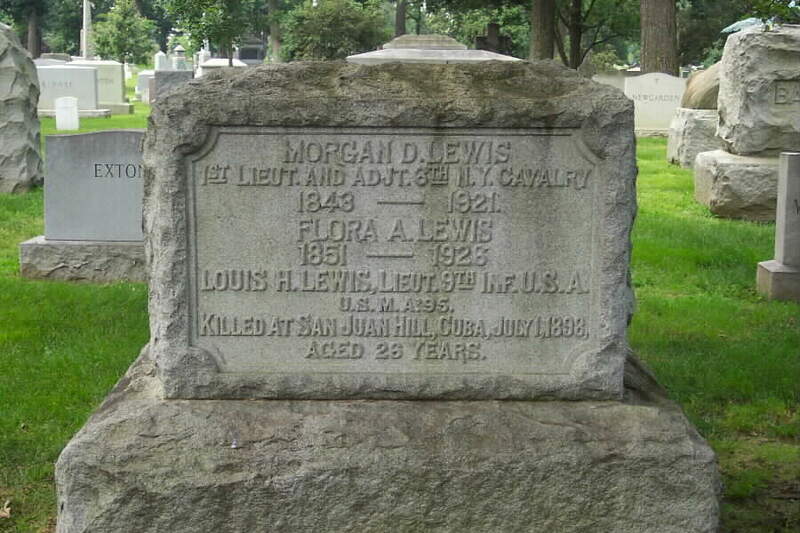 Morgan D. Lewis; Quartermaster, 15th New York Cavalry. 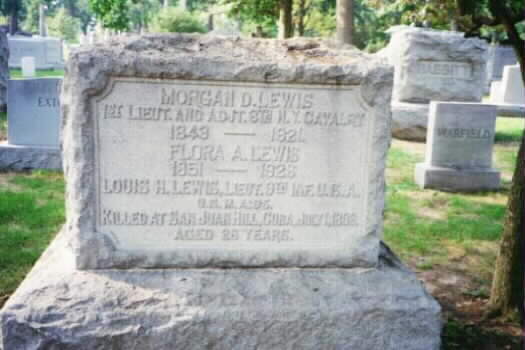 Morgan D. Lewis (1843-1921), enlisted in the Civil War from Cherry Valley, New York. Morgan D. LEWIS of Toledo, Ohio, married Miss Flora A. SMITH, eldest daughter of Ex-Commissioner, A.C. SMITH of Cobleskill, New York on 18 May 1869 at the National Hotel. Lewis-Smith Marriage. At Cobleskill, May 18th. Morgan D. Lewis of Toledo Ohio and Miss Flora A. Smith, dau. of A.C. Smith of Cobleskill New York, May 19, 1869.